In his Oscar-nominated performance, Benedict Cumberbatch is riveting as the brilliant 20th-century mathematician Alan Turing in director Morten Tyldum’s The Imitation Game. Turing led a group of cryptographers at Great Britain’s Bletchley Park who broke the Nazis’ Enigma code during World War II. While Turing was socially awkward, occasionally stuttered, and was gay when it was a crime to be homosexual, Cumberbatch’s performance never ventures into caricature. He portrays Turing empathetically. Keira Knightley, whose performance was also recognized by the Academy with a nomination, plays Joan Clarke, a fellow mathematician and cryptographer at Bletchley to whom Turing was briefly engaged. Cumberbatch has achieved worldwide fame by playing the flawed genius. This is his wheelhouse, and while one does not want him to be typecast given his range, talent, and charisma, he shines in these types of roles. His Turing is intense, driven, and unapologetic for his brilliance—much like Sherlock Holmes. He does not suffer fools or those who do not support his vision to build the Bombe, a precursor to the modern computer that ultimately broke the Enigma code and saved millions of lives. Yet, as immensely watchable as Cumberbatch’s performance is, the viewer may feel that the script is only scratching the surface. We see flashbacks to Turing’s youth but the film doesn’t fully connect the dots between Turing’s youth and how his early experiences molded him. The Imitation Game’s production design, direction, score, adapted screenplay, and editing have also been nominated for Academy Awards in addition to a Best Picture nod. The cinematography is rich in saturated color and pays homage to the heroism of the Bletchley Park crew by bathing them in a halcyon glow. The code breakers heroically cracked Enigma, but could not take credit for their accomplishments—their work was classified until the 1970s. The film’s title refers to a test that Turing devised—a series of questions meant to reveal whether the respondent was human or machine. There are obvious parallels to Turing’s single-minded drive to crack Enigma. However, character development is the area in which The Imitation Game falls short. Because Turing’s character is largely defined by his idiosyncrasies, it feels as if the film draws a too-easy comparison between the man and the machine he created. For example, we don’t see Turing during his twenties when he was a Fellow at King’s College, Cambridge, when he would have arguably developed the concepts on which the Bombe was built. Turing’s sexual identity is fleetingly addressed, surprisingly so, given its impact on the end of his life. The Imitation Game pays long overdue homage to Alan Turing but skims over parts of his life that viewers would likely find compelling. These omissions do not detract from Cumberbatch’s performance—his fans and those interested in cryptography or WWII will enjoy the film’s depiction of a pivotal time in history. 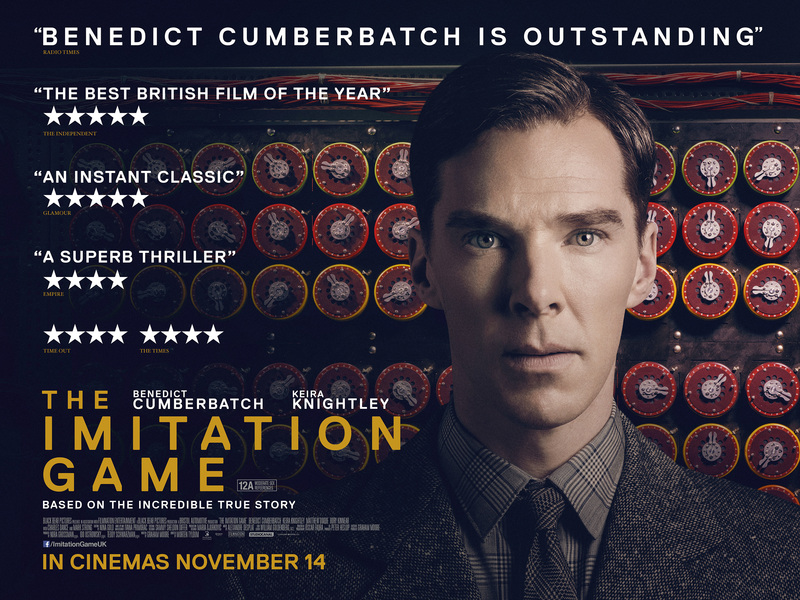 Don’t leave your thoughts on The Imitation Game an enigma – let us know your opinion on the film below!